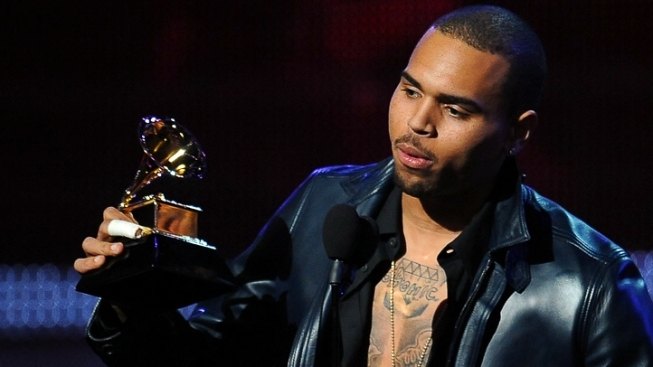 Singer Chris Brown speaks after receiving his Grammy award at the Staples Center in Los Angeles Feb. 12. 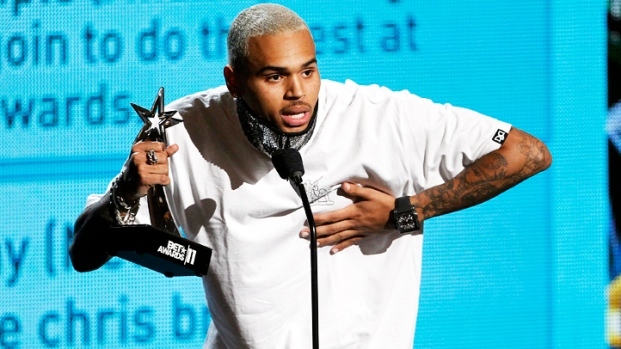 Singer Chris Brown snatched a fan’s phone after she took a photo of him outside the South Beach club Cameo, telling her emphatically that she would not post his picture “on no website,” then drove off, Miami Beach Police said. Brown’s eager fan, a 24-year-old Miami woman, told police that she was inside Cameo during the wee hours Sunday when she saw Brown, 22, and fellow artist Tyga leaving the nightclub at 1445 Washington Ave. through a side door. The woman, Christal Spann, and her friends followed Brown and rapper Tyga outside, where she saw him get into his black Bentley, according to a Miami Beach Police report. Spann approached Brown and took a photo with her $500 white iPhone 4S while he was sitting in his car. Then the surly hip-hop star reached through the window, took her cell phone from her hands, and said, “B**** you ain’t going to put that on no website,” Spann told police. He put up his window, drove west on Espanola Way, and north on Washington Avenue, police said. Police said the state attorney's office is preparing the arrest warrant for Brown. Tyga wasn't implicated, they said. Authorities said they don't believe Brown in still in Miami. Miami-Dade State Attorney Katherine Fernandez Rundle said in a statement late Thursday afternoon, "My prosecutors are currently speaking with witnesses and reviewing all of the materials supplied by Miami Beach Police. Only after these reviews have been completed would any type of action be considered or taken." Brown couldn't be reached for comment Thursday. Miami Beach local Nes Grez said he saw it all go down at Cameo last weekend.